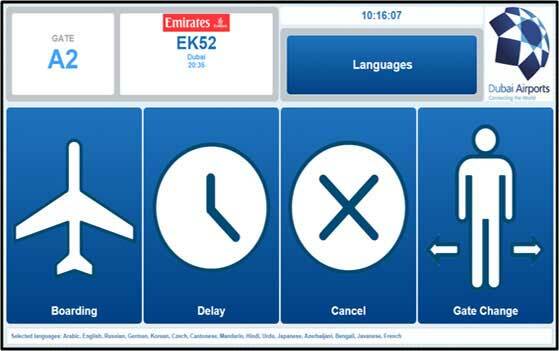 Dubai Airports has teamed up with Emirates Airlines to implement Automation of Boarding Lounge Announcements to standardize boarding announcements across DIA & DWC. The Automated Boarding Lounge Announcement (ABLA) system is currently implemented in almost 165 boarding gates and lounges across Concourse A, B, C, D, Terminal 2 and Al Maktoum International. Currently, the system has a total of 25 languages for the Boarding Lounge Announcements. So the boarding process becomes faster and more efficient as announcements are made in passenger’s native languages.